PTA is focused on making every child’s potential a reality by strengthening education and taking a comprehensive approach to community success. Supporting Butler Elementary is about the work of parents, educators and community members coming together to back the future of every child! Out-of-town family and friends, or those who are not able to participate in Butler PTA fundraising sales, can still support Butler Elementary through direct online giving! To donate, please click here: https://squareup.com/store/butler-elementary-pta. Do you want to leave a lasting legacy for your child or children? Honor a favorite teacher? Here’s your chance! 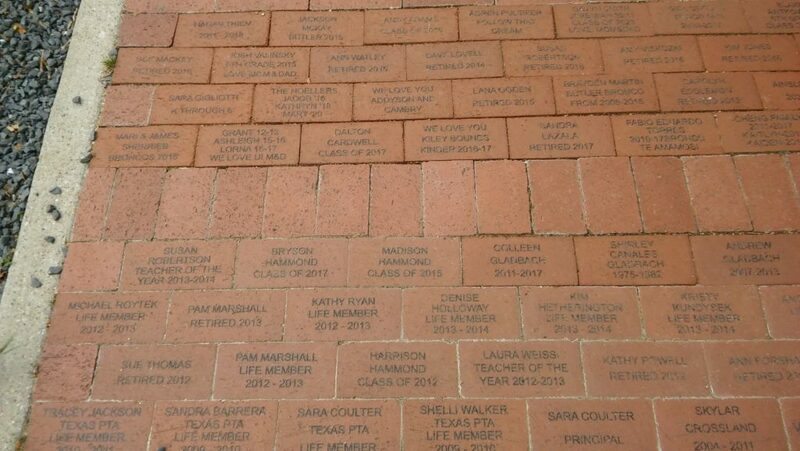 Buy a brick for the Butler Legacy Sidewalk bordering the front of the school. $25 with up to 3 lines, 18 characters/line. To purchase a brick, please click here: https://www.bricksrus.com/donorsite/butlerelementary. Thank you for your contribution to Butler PTA!